ARE YOU READY TAKE THE “PEEL RESULTS” CHALLENGE? Looking for a solution to uneven skin tone, texture and pigmentation that delivers REAL RESULTS? We invite you to take the “Peel Results” Challenge with us! Skin Solution now offers the strongest peel available in all of Canada, The Vivier Jessner Peel. This powerful treatment uses a combination of salisylic acids to safely remove dead skin cells from the epidermis with gentle yet aggressive exfoliation. The Vivier Jessner Peel treatment helps to reduce the appearance of fine lines, wrinkles, laxity, acne, enlarged pores, age spots, sun damage, and melasma. We recommend 3 – 6 treatments for optimal results. For a limited time we are offering Jessner Peel Treatments at $99 when you buy a package of 3. 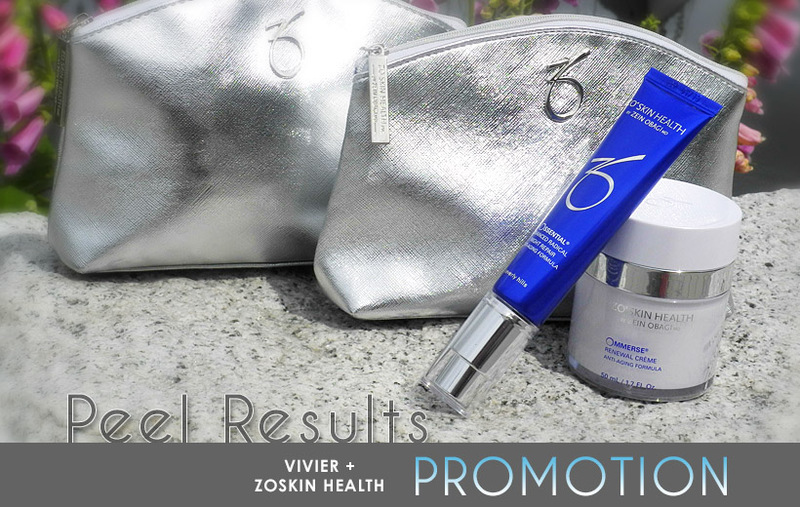 In addition to this incredible offer we are also including our after care “power combo” from Zo Skin Health for prolonged and regenerative results at a bundled price of $149. (REG. $150 per treatment) – you SAVE $150! Contact us or come in today to learn more about this treatment and products, and take advantage of this great promotion before summer! Call 604 877 1299 for a complimentary consultation!